Home > Articles > Is A NAFTA Deal Possible Soon? (Southeast Farm Press) – Senior ministers from the three North American Free Trade Agreement countries are gathering in Washington amid growing signs of optimism that they could find common ground on the toughest issues. 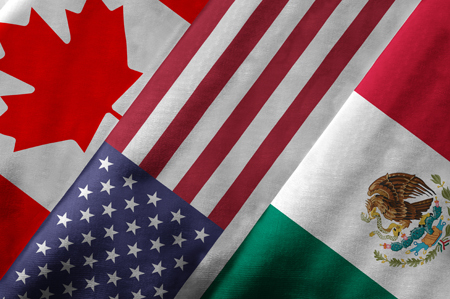 However, it remains unclear how much progress has been made — the majority of NAFTA chapters remain unfinished and key divisive issues unresolved after months of talks. But Trump’s optimism over a NAFTA deal comes as White House officials suggest there’s wiggle room to negotiate a resolution to an escalating U.S.-China trade dispute over proposed tariffs. There are signs he’s looking to made a deal on NAFTA, too. Regarding the talks, the U.S. is said to have softened its demands on the auto sector, a crucial area of discussion, but still is seeking controversial concessions on dairy, government procurement and a sunset clause. Friday’s meeting of the top ministers could signal the path forward — is the Trump administration ready to bargain, or just posturing to sway public opinion as it spars with China over new tariffs?